Neuromas are tender areas of nerve swelling and inflammation, and they can cause significant pain anywhere from deep aching, sharp shooting or radiating burning sensations. 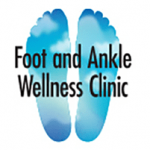 Foot and Ankle Wellness Clinic in Los Angeles and Glendale, California, is a trusted provider of state-of-the-art non-surgical treatments for neuromas, helping patients overcome their symptoms and prevent their recurrence. A neuroma is a swelling or overgrowth of nerve tissue that causes localized pain and tenderness as well as possible radiating symptoms of pain, numbness, and burning sensations. Neuromas usually cause lumps or bumps to form on the bottoms of feet where swelling or overgrowth occurs. Morton’s neuroma is one of the most common types of neuromas to affect the feet, occurring in the fleshy ball of the foot and causing symptoms that can radiate into the toes or even up the foot into the leg. Neuromas can usually be diagnosed with a physical examination of the foot including gently feeling the foot in order to identify areas of swelling or overgrown nerve tissue and to evaluate the cause and nature of the symptoms. Most neuromas are associated with a lump of tissue that is very painful when pressed. A patient history can also aid in ensuring an accurate diagnosis. In a few cases, diagnostic imaging may also be ordered to confirm a diagnosis of neuroma and to rule out other issues which could potentially cause similar symptoms. In-office diagnostic ultrasound is an effective imaging tool. What approaches are used to treat neuromas? Most neuromas respond well to conservative treatment options aimed at reducing the pressure and irritation around the nerve so inflammation and pain can resolve. Often, switching to footwear that fits and cushions properly can provide significant relief of symptoms while also reducing the pressure that causes nerve inflammation. Avoiding high heels is also important since the sloped shape of the shoe can significantly increase pressure on the ball of the foot where neuromas are most likely to occur. Custom orthotics can be very effective in helping balance the pressure on the ball of the foot so pain and inflammation can resolve. Pain medications including both oral medicines and injected solutions can also be effective in providing relief of symptoms. Other techniques like internal freezing of the nerve tissue (called cryoneuroablation) can also be effective in treating neuromas and relieving symptoms long-term.